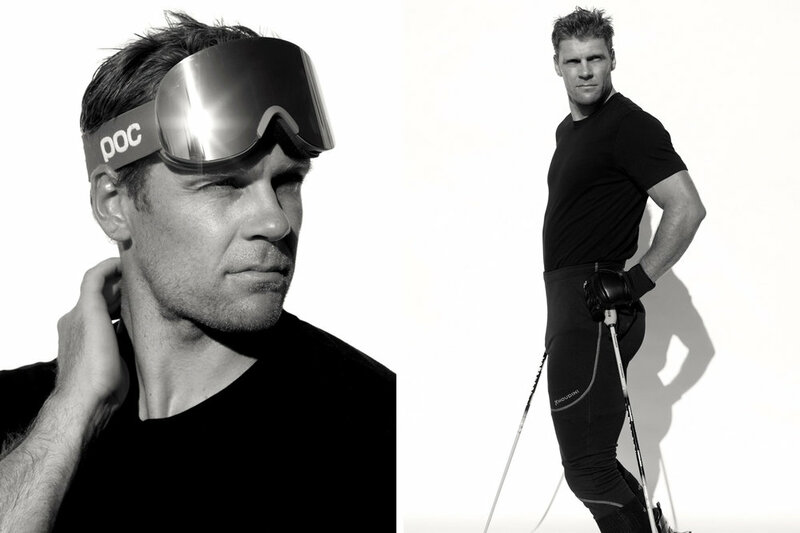 I had been wanting to get Olympic alpine ski racer, Steven Nyman, back in front of my lens for the longest time. I first photographed him (along with his brothers and the Hale sisters) back in 2006 for a magazine article and I let my nerves and lack of experience behind the camera get the best of me. Feeling defeated, I only hoped I might get another chance to work with him in the future. We shot up in Park City, Utah, where I had tapped up white seamless paper to the backside of a local business (permission granted) to create an instant studio. He was a champ, enduring the 85+ degree summer heat in black leggings and ski boots and up for anything.